You just can’t help believing can you? Wise men say that there are now 85,000 Elvis impersonators in the world. This must be an underestimate since there can be up to four in my house alone. Elvis is surely the one image that is capable of uniting the world. Many fine academic brains have tried to analyze the essential oils of Elvis juice. All I know is that just one drop would make me ten times more talented than I am. your eyes you are truly in the presence of the King. I would not describe him as an impersonator. To me he was a spirit guide – somehow linking the audience to the sheer showbiz aura of Presley. 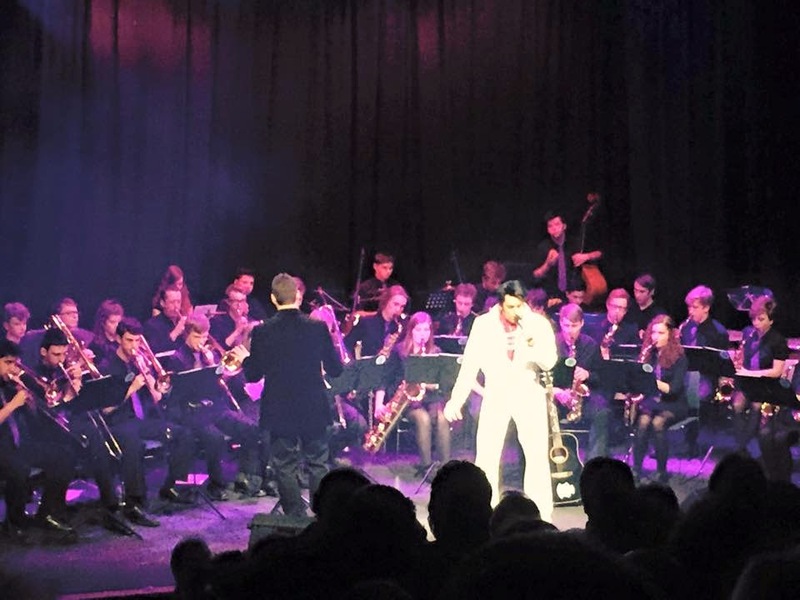 The big band support was provided by the Romsey Area Youth Jazz Orchestra conducted by Alex Needham who also did the arragments. Wow! These guys were hot. Thanks guys for a wonderful show – I’m still singing along. I’ve tried to work out what it is about Elvis that grabs me and many folk far younger who were never part of his generation. Undoubtedly his image is no less hype than any other star. For all that, he stood out front, alone before his audience, a true Shakespearean flawed hero slowly revealing his own tragedy and mortality. I wonder what he would make of the helpless tears still shed by the likes of me at his memory. Emma Thinx: Tinsel has not the weight of silver. It can fly higher. 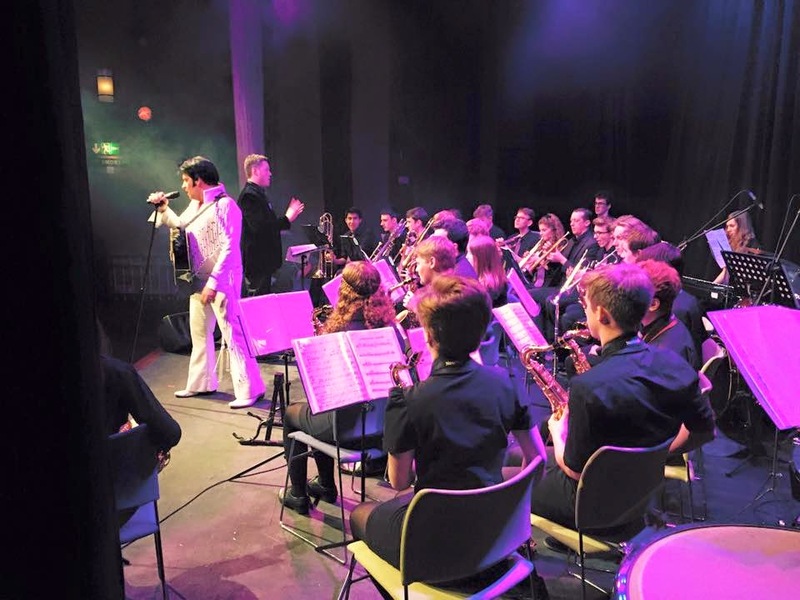 This entry was posted in Alex Needham, Craig Jefferson, Elvis, Elvis Presley, Hampshire music service and Romsey area youth jazz orchestra, How great thou art, Plaza Theatre Romsey by emmacalin. Bookmark the permalink.